Multiple scenes of Sherman County, Kansas. 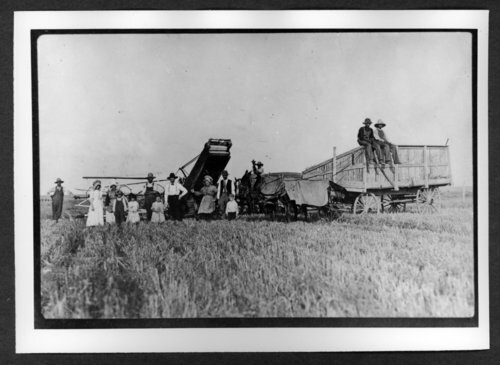 In the photograph of lunch time for the harvest crew, Mrs. Ed Chatfield is the woman on the left and Ed Chatfield is the man at left sitting on top of the rail of the header barge. Scenes of Sherman County, Kansas - Lunch time for harvest crew.